The Hallmark commercials are in heavy rotation. Your neighborhood drugstore is probably already decked out in full Valentine’s Day regalia. And suddenly you’re finding yourself scrolling past even more love stories - the celeb variety (Chrissy & John, Meghan & Harry, Ross & Rachel, et cetera) and of course, those carefully crafted (art directed) ones courtesy of your fav IG super bloggers - than usual in your feeds. Go classic - or unconventional - this year with treats like these from Sugar Bake Shoppe. If you’re looking for something a little different to share this year with your Valentine who doesn’t take themselves or the holiday too seriously - or to gift that funny friend, that ex who still texts, or the frenemy you just can’t seem to shake - then I have just the thing. 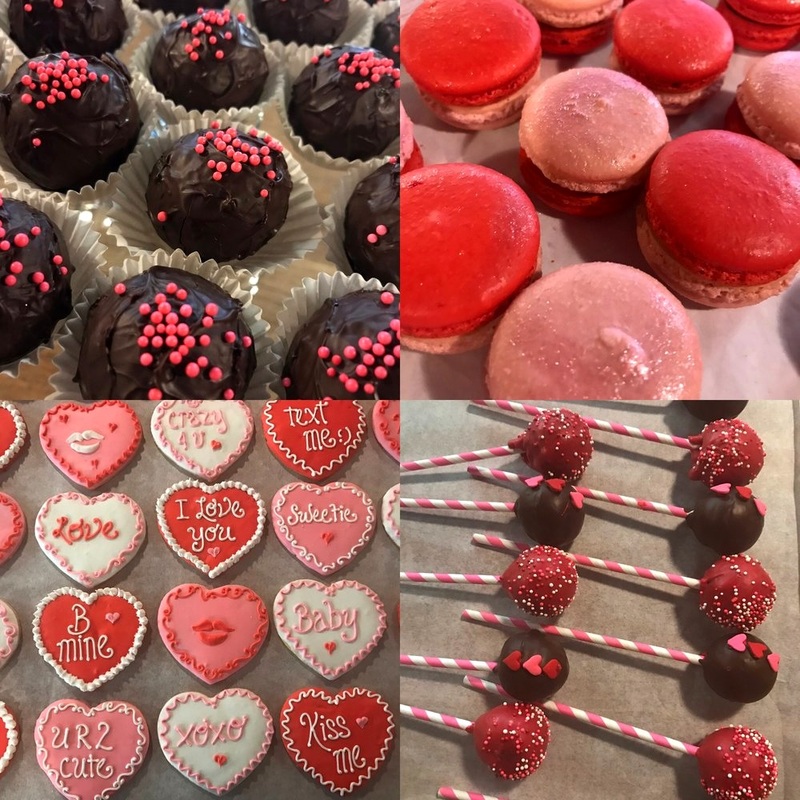 In addition to delicious traditional Feb. 14th related type faire (cookies, cake pops, and other treats…see photos below for a preview), the ladies at Sugar Bake Shoppe RI also make these what I like to call anti-Valentine’s cookies that’re not only yummy, but also unexpected (W-T-H!?!) and hilarious (photo above for a sampling). When I first met Phay and Kate of Sugar Bake Shoppe RI, those cookies caught my eye immediately. For obvious reasons. You should know, though, that they also make absolutely beautiful (and delectable) cakes for weddings, showers, and other special events too. More great news? There's still plenty of time to search out their anti-Valentine’s cookies. For more info, go to sugarbakeshopperi.com.